Note: Mobile users might have to select the view desktop option on your phone to see the tab or click here. Click here to visit the Ruffies facebook and like them. 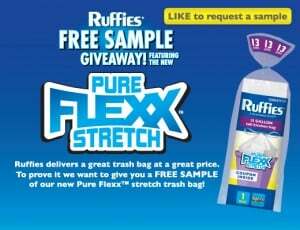 Then on the “Ruffies Flex” tab, click “Click here to request a sample” and fill out the easy form to request your free sample.